By sharing her one-page profile with her brother’s support provider, Liz is able to concentrate on being a sister not a carer. An example of how one-page profiles can improve communication and enhance relationships between families and providers. I am passionate about person-centred ways of working which I have used in my professional and personal life for over a decade now. My brother and daughter both have Downs Syndrome. 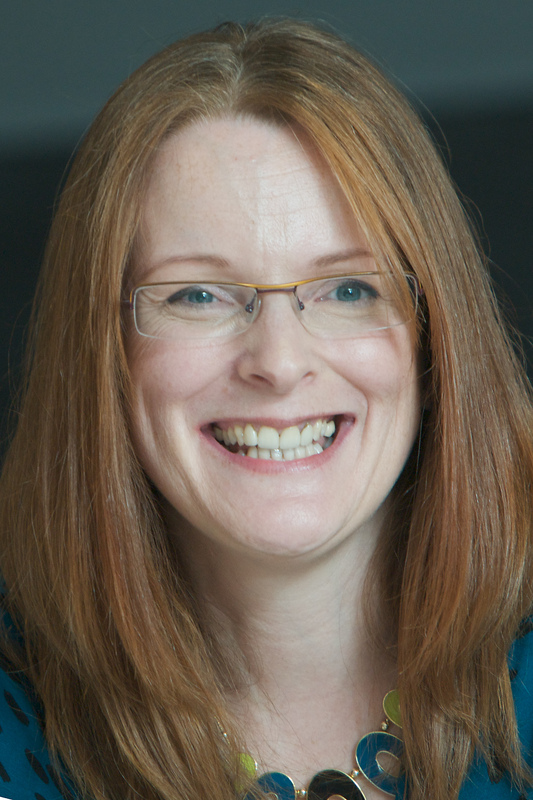 Sarah Jane has grown up with the values of inclusion and person-centred thinking. Tommy has had a very different life but a move to supported living last year has opened up his world. About six months ago a new service provider took over Tommy’s contract. I had been very engaged with the previous provider and began to feel quite cut out of his daily life. I work full time and can rarely answer a call during typical working hours. I found it very frustrating to have ‘missed calls’ with no messages or indication of urgency and worried that staff would think I didn’t care. I am a Family Consultant at a social care provider, Dimensions, where staff share their one-page profiles with families. Working there and seeing the benefit, I realised how valuable it would be for families to share one-page profiles too. We started doing this within Dimensions and I took the idea to my brother’s provider. I wanted communication to be constructive and effective, and for people to value my involvement. I sat down one evening and created a one-page profile for ‘partnership working and fluid communication.’ The profile is about supporting family relationships so I included things that build connections. To begin with I shared the one-page profile at a review meeting and staff really appreciated knowing a bit more about me and my busy lifestyle. I gave a copy to the regional manager as well. I can easily tell the members of staff who have seen and read the profile and those who haven’t. I keep a copy on the notice board by my desk at home and I jot down the new things I learn. I plan to give an updated and visually different copy to the team every six months. I’m going to stick the next one inside Tommy’s wardrobe door as a daily reminder for staff. Sarah Jane and Tommy often have conflicting needs so a member of staff always supports our time together. Support staff don’t often co-work with family members and many were uncomfortable with hanging out at home or on family trips. Now we have a delightful balance of professionalism and friendliness which is much more relaxing. Niece and uncle have strengthened their relationship because their conflict of interests has been minimised and I can be mum and sister not mediator! I have high expectations about the quality of support and communication between families and services, and quite rightly so. However, having my values and needs expressed on a one-page profile enables me to clarify my expectations. When people know what I want and expect they are more likely to give it – and if I haven’t been clear I can change the profile instead of getting frustrated and coming across as a nag. I now get text messages that are much easier to respond to in a quick break, and voicemail helps me sort the rare urgent issues from those that can wait a day or two. It is really lovely that Tommy now initiates visits with support from staff and I get good news, not just issues to deal with. When I make suggestions about ways of working or activities to try they are taken as offerings from a partner. Tommy is more relaxed when we are all together. He doesn’t use verbal communication but he picks up on tension so I can tell he appreciates the new relationships as much as I do. Since sharing the one-page profile with the people who support Tommy daily I feel like things are more straightforward. I would strongly recommend it as a way of enhancing the relationships between families and providers. I love that my views are being sought on things that are important to Tommy. My role has undergone a transformation too, I feel like I can be a more ordinary sister alongside managing his personal budget and finances. An example of how one-page profiles can help a person to communicate when they are having difficulties doing this verbally. This story not only highlights the difference a one-page profile has made in David’s life but also how the tool has been adopted and used by the whole family. David was 14 years old when we updated his profile. He lives with his mum, dad and five siblings. David is the eldest. Born very prematurely he has needed extra support with caring for himself, moving around and communication. He now has his own power chair and iPad and is a very active high school student. David’s teachers and parents were challenged with the task of helping David plan for his future. My job was to help him to update the one-page profile he had been using to make sure it reflected his changing likes, dislikes and support needs. He chose the theme, the colours and the layout. David loves his one-page profile and will take it out and show it to new people as well as using it to contribute to the planning of his care. It is very important to him that he is involved in these processes and his one-page profile empowers him to do this. During one school holiday a case manager and I visited the family at home. David’s sisters were keen to complete their own one-page profiles. We spent three hours with colored paper, stickers of their choice and photos and apparently after we left the girls spent the rest of the afternoon on their profiles. David’s mother bought the materials with the girls. One of David’s sisters was scheduled for significant oro-facial surgery and wanted to take hers with her to show the hospital staff as she would be unable to speak for some time following the surgery. I recently laminated David’s profile for him as the first one became very tattered from frequent handling and taking it in and out of his backpack. The latest version has visited school, Special Olympics, respite and next month it will go with him to Sydney Children’s Hospital where David will be having the pins and plate in his left hip removed. David is using his one-page profile in his individual planning meetings for post-school options. One of the main purposes of David’s particular profile was to give information on how to support him with his verbal responses to pain and frustration as he’d found that people couldn’t easily understand his speech when he needed to ask for assistance. When he completed his profile David felt unique and special in a good way. David became more confident and outspoken following our visit, he trialed Special Olympics, became game to trial new Wii games to assist his weight transference and balance and to express how this made him feel and what caused him pain. He also became more aware of the support his sisters continually give him. David can open the bag on his wheelchair and show his profile to anyone he wants and he uses it to introduce himself in meetings. It has made a difference to how decisions are made and David’s role in decision making is more central. The follow up to this has been exciting. When I spoke to David’s mum recently she mentioned that his eldest sister had just updated her own one-page profile and was very pleased with herself. The whole family continues to use and get value out of the profiles and by involving all the siblings it has normalised the process for David himself who continues to share his with the new people he meets. An example of how a one-page profile can be used in the home to help families communicate and support each other better. Barb is a mother of three and a single parent during the week. Her husband comes home on weekends, which changes the dynamics of the home significantly. He also has four children who visit frequently. Barb has two jobs as well as community commitments. Barb was feeling quite overwhelmed at home. She had recently been given a medical diagnosis that she felt her family were leaning on when she was frustrated or tired. She was feeling like she was the person that was expected to ensure the home was just as everyone wanted it…like superwoman would. Although she appreciated being valued in this role and wished she could do that, it was just getting to be too much for her to balance so she created a Mom and Wife one-page profile. She sat down one afternoon and created the profile on her own. She took an appreciation activity they had done as a family in the past and used it to develop the Like and Admire section of her wife and mom profile. Barb printed it and shared it with all of her children and her husband. She then stuck it to the refrigerator with a magnet so it would not be forgotten. When her children first read it they mentioned that some of it they already knew and some of it was a surprise. Her youngest son started asking before cuddling up to her on the couch. Dishes and meals were more often taken care of by others. Barb began experiencing less resistance from her children to do their chores. Her diagnosis is never used as an excuse anymore, instead her family asks if it is a bad day medically or just a rough day in general. A few times, her children have made her a nice Jacuzzi while she is out on her daily walk; when she returns it is prepared for her. Overall, the profile has really helped everyone understand that Barb is not a machine and they have more respect for her needs. Gentle reminders sometimes need to be given but for the most part it has helped make home life go much more smoothly. How one-page profiles can help parents feel confident when entrusting others with the care of their children. This story illustrates the benefits of capturing the rich information that a mother knows about her child on one page to help others support, play and communicate with her children. My son Alfie is a cheeky seven year old boy with a mischievous personality, a wonderful laugh and all the usual sibling rivalry you would expect between him and his twin sister. Alfie has Downs Syndrome and as well as receiving ‘Carers Support’ funding we have access to various activities and clubs which he loves to attend. I first realised the value of a one-page profile for Alfie when taking him to these clubs. It isn’t always possible to tell someone all the important information they need to know about his likes, dislikes and triggers for behaviour in a conversation. We used the profile to capture this information and share it easily with the people who would be looking after him. As Alfie does not talk, I wrote down everything I could think about him. At first, I had difficulty differentiating between ‘what is important to’ Alfie and ‘what is important for’ him. I sent it all to our Family Footings Facilitator, Yvonne, who guided me and supported me to condense my statements. Eventually I detailed on a single sheet of A4, with special Alfie photographs, ‘What I love about’, ‘What is important to’ and ‘What is important for’ Alfie. I printed copies to hand to carers, church, school, and all his activity clubs; which included, cookery, street dance, football, acting classes, special needs group and baby ballet. At some of the groups that Alfie attends parents are not allowed to stay and observe. Leaving the one-page profile with him gave me confidence that Alfie would be treated as an individual even when I wasn’t there to help him communicate. It makes a huge difference to me to know that the person caring and looking after Alfie has been given some insight and knowledge of him as a person. They do not need to ask, “What does he like to do?”, they know. This enables me to concentrate either on his twin sister or to use my ‘respite’ time to do what I need to do. By having this tool, it visually reminds the people spending time with Alfie what they can do to make it more enjoyable for him. It gives them options, if necessary, to help lead and guide him in his play and it enables them to communicate with him in a way that they know is important to and for him. Alfie’s profile achieved everything we wanted it to achieve. It captures the rich information I know as his Mum and helps me to share it easily with others. Even his grandparents have one and use it. I appreciate it so much that I made his twin sister one too. She doesn’t have a disability but it saves me having to explain about her as well and she is as important to me as Alfie so it wouldn’t be right to do for one and not for the other. I share the concept of the one-page profile with others whenever I can and explain the benefits and simplicity of such a succinct piece of information which is readily at hand. If we have a babysitter I just give them their profiles, saying this is very useful and you will refer to it. It gives me time to then explain routines etc. Before knowing about one-page profiles, I was forever telling people what he did and didn’t like and although the lists were not exhaustive I would always forget an important bit and then have to ring back with “just one more thing”. Now I know for sure that when I entrust the care of my children with someone, especially with Alfie, as he cannot talk, they can easily refer to the one-page profile and as such will be following my beliefs, wishes and respecting me as a parent and person, as well as respecting Alfie and Alice. An example of how using a one-page profile format to produce a birthing plan gave these first time parents the confidence and control they needed in labour. Robin and Adam’s story also describes the benefits of presenting important information in this way to medical staff; helping them tune in to the couple and support them in the birth of their daughter. We are first time parents who used a one-page profile format to write our birth plan. We had noticed that most birth plans being given out during our hospital tour were only casually glanced at by the nursing staff and we wanted to make sure that the people present at our birth would pay greater attention to ours. We had very particular requests and it was important that we delivered the information in a way that was quick and easy to read. To write our birth plan profile, we invited our friends and family for tea and we casually shared what we thought we wanted. They offered suggestions and ideas and it worked well because it was casual and at home. We shared our birth plan one-page profile with our family doctor and OBGYN (both of whom loved it!). We kept a copy in our medical file and also had a copy placed on the door of our birthing suite. During some of the more tense and scary moments of my daughter’s birth, we were able to keep all support staff on the same page thanks to our plan. This was helpful to them since they were not fumbling with a five page document which is what they often had to work with. More importantly, it helped us as first time parents to have a team that knew how to support us best. Naturally, we were terrified of the labour process at the time, and this enabled us to have a sense of control in what is sometimes a chaotic process. Having our birth plan in a one-page profile format also really helped the nursing staff understand what was important to us (get her out as safely as possible!) and what support we needed as first timers (I don’t handle blood well!). Many nurses and students came up to us afterwards wanting to know more about it, and how they could encourage other parents to write birth plans in this way. We really feel that producing our birth plan in this way was paramount in making our labour experience such a positive one. We had one nurse come in with an iPod and sing “push it good” by salt-n-peppa on a whim and we actually laughed during labour. How many people can say that? We later learned that the nursing staff felt comfortable going the extra mile as they felt that they knew us as a couple thanks to our plan and it really helped them know how to make our experience a positive one. If you would like to read more about people’s experiences using person-centred thinking tools in pregnancy and labour you can follow our pregnancy, parenting and personalisation blog here. Each week we will be sharing new stories written by people who have used one-page profiles from birth to end of life. Find the latest stories here and join us in the journey to 100. Helen Sanderson Associates help people make positive changes in their lives through person centred practices. Speak to the team about one-page profile training and support. We believe that all people regardless of age or circumstance should be treated as individuals and should feel empowered to have choice and control over their own lives. We believe that employees work better if they feel listened to and understood; that supportive teams are more cohesive – achieving better results; that school children thrive in an environment that encourages and celebrates individuality; that patients in hospital will have a stronger sense of wellbeing and a better recovery with a personal approach to their care. Since first developing the concept of a one-page profile in 2004 to help improve understanding between my daughter Laura and her teachers at school, I have advocated their usefulness in all areas of life and work. At HSA we use profiles in our work with people in health, social care, education, communities and families. We use them in our personal lives too and we see them as a fundamental part of personalisation and the foremost way of keeping a person at the centre of all decision making regardless of their circumstance. This has been a compelling year in terms of our learning around using one-page profiles at scale and their potential to effect change when adopted into the culture of an organisation. Twenty-four schools in Lancashire are committed to using profiles with over 1000 pupils and teachers. We have seen how they can work well in a hospital setting with 40 patients on a ward each having their own. And we are working with a dementia care provider who want to use one-page profiles with the 5000 people they support. We have launched this site to share with you the many ways that one-page profiles can empower people to have greater choice and control in their life. This is the first time such a collection of one-page profile examples has been shared so widely, and it has been both a rewarding and thought provoking journey to learn about their reach and value to each and every person. I hope you follow and are inspired by, as I am, the 100 powerful stories of people who have achieved personal success through using one-page profiles and that you too can use this tool for positive change in your life and work. Create your own one-page profile here.